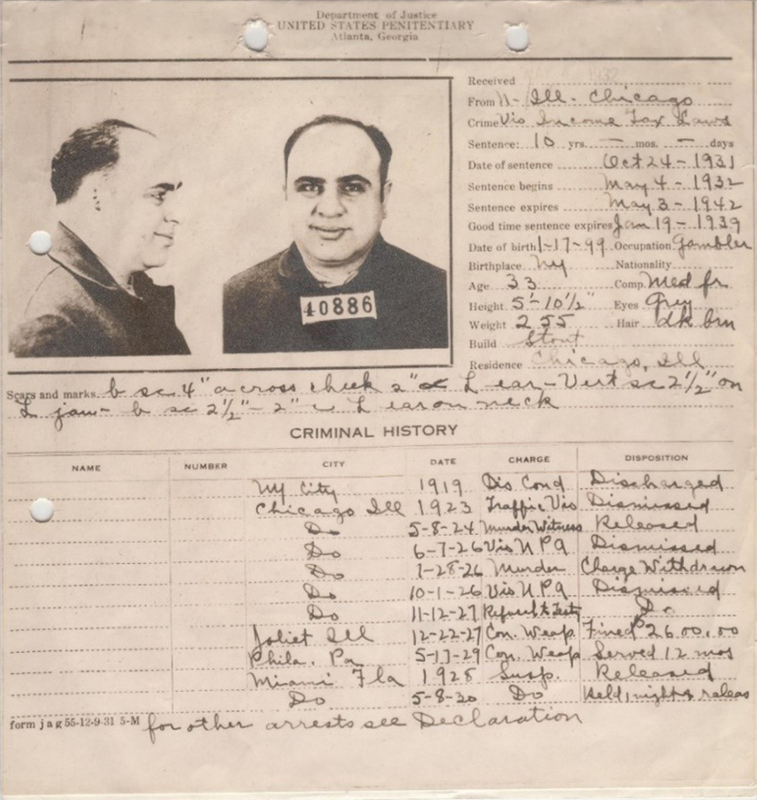 The Capone Files: "Scarface" Al Capone: How did he get those scars? Capone’s scars are listed in the middle of the page. All five are on the left side of his face. 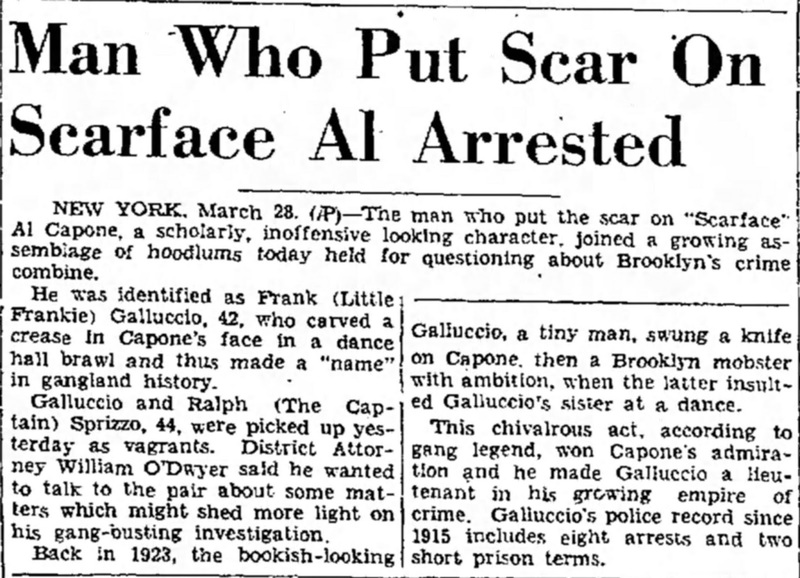 If Galluccio had been the one who "carved" the scars into Capone’s face, he would have had to attack him five times, another unlikely scenario. 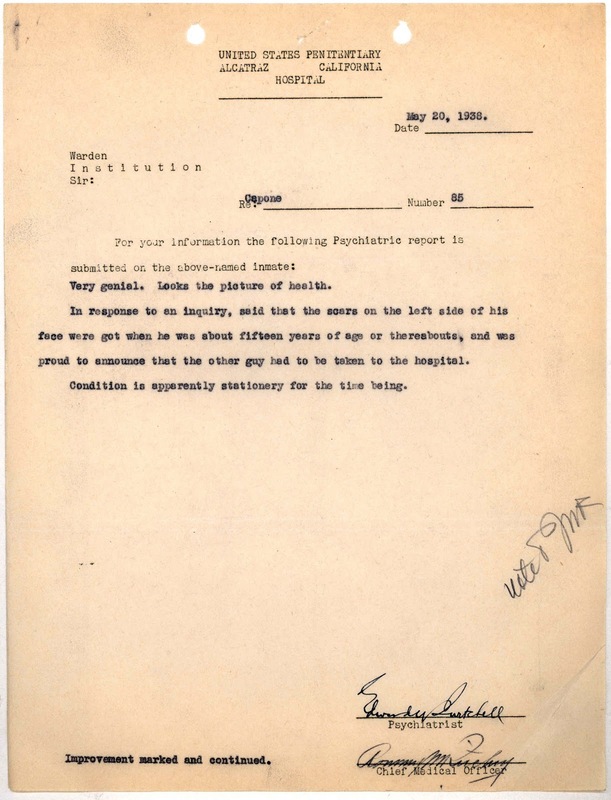 This later document, from when Capone was incarcerated at Alcatraz in the 1930s, shows that Capone told his doctor that his scars came from a fight when he was 15 years old. Could a right handed person have hit Capone in the face with a broken bottle, causing the five scars?